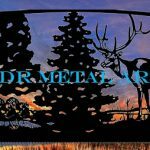 Automatic Driveway Gates - Custom Driveway Gates - Iron Steel & Aluminum - JDR Metal Art - FREE Standard Shipping! Automatic driveway gates combine the elements of beauty, security and convenience at your property entrance. Gate automation is the process of installing an electric or solar automatic opener to open and close a driveway gate by means of a keypad, transmitter or other device. Some automation brands such as Liftmaster can even be remotely operated from a smart phone application. Automatic driveway gate pricing for any specific gate and opener configuration can vary greatly from location to location and even from contractor to contractor. It is of course best to shop around with several gate contractors before choosing one to perform the automatic driveway gate installation. The best approach is to learn about what each has to offer. What is the quality of the gate? How thick are the materials? Is it a powder coat finish or paint finish? Will gate opener will power the gate? Is the gate opener properly sized for the gate? What kind of warranty is on the gate opener? How long does the contractor warrant the gate installation? What is the expected lifespan of the system? It is a good idea to ask these questions by email so you have something in writing to relate back to in case of issues down the road. It can be frustrating to be told one thing in person and find out later that the answer you were given is not being honored. Depending on the style of gate and automatic opener chosen the price for automatic driveway gates could be anywhere between $100 to $1,000 per linear foot, while the openers can range from $500 for the cheapest to $5,000 or more for the most expensive automatic opener systems. There are several types of automatic driveway gates or as they are otherwise called; automatic electric gates. First is the typical swing gate classification which is further broken down into single swing vs. dual swing gates. These gates typically swing on a hinge system, of which there are many variations with being hinges some better than others. Swing driveway gate designs can incorporate pickets, solid sheet or plasma cut metal art elements, or a combination thereof. The most commonly used hinge for a swing gate is a J-bolt hinge which offers the most adjustability with moderate load bearing properties. They typically incorporate a grease fitting which must be lubricated regularly to keep functional. The typical load rating of these hinges is 600lbs or less per gate panel. A more recent invention than the J bolt hinge is the bearing style of hinge which is a high load bearing hinge with varying degrees of adjustability from “not adjustable” to as adjustable as the J bolt hinge. The need for routine maintenance is dispensed with as the bearings are sealed and internally greased. These hinges are typically rated for loads of 2,000 lbs or more per gate panel, depending on the hinge manufacturer. Slide gates are gates that can slide across the driveway, either on a track in the ground or by means of a cantilever system. Track gates are just that: gates that slide along a track that is typically built into the ground in the driveway. They ride back and forth on two wheels sitting on the track. The main limitation for these gates is snow and ice. The track must be kept free of any obstructions to operate smoothly. Any debris in the track will keep the gate from being able to open or close. Cantilever gates are usually a bit more involved to install than track gates. The gate does not come in contact with the ground; rather the gate has a frame on the backside which mounts on a roller system with 4 wheels. This backside from of course represents added work to build and install. These type of slide gates are best for areas that regularly get snow and ice during the winter months. Countless different driveway gate designs have been created. They can be classified into several distinct groups. Iron driveway gates are gates made from iron. In fact there are very few, if any, manufacturers of truly “iron” driveway gates. For over 100 years iron has been mixed with carbon to produce a greatly superior metal alloy we call “steel”. Iron in its pure form is a very brittle metal which is readily susceptible to cracking and snapping. One part of gates which often do incorporate actual “iron” decorative elements is the spears or finials located on top of driveway gates or fences. More often than not there will be at least one missing finial on the top of these gates which have snapped off due to the brittleness of the metal. The reason manufacturers still use these iron finials is because they’re cheap and initially look great..until they begin falling off. Wrought iron gates were originally gates made from iron that had been wrought into decorative shapes by hand. Although in modern times most wrought iron elements have been machine wrought and the elements are of decidedly inferior quality to what was once manufactured by hand, nevertheless many companies today push the notion that their gates are “wrought iron” due to the way people still associate “wrought iron gates” with something of high quality. Although there do still remain a few true wrought iron driveway gate craftsmen performing the craft, the prices of a truly wrought iron gate will be out of sight for many potential buyers. As for the rest of gate manufacturers selling a “wrought iron gate”, this product description is nothing more than a marketing tactic. Steel driveway gates are the modern equivalent of the iron or wrought iron gates of the past. Steel is superior to aluminum in strength and cost. Aluminum driveway gates are the most common alternative to steel driveway gates. 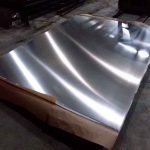 Aluminum is superior to steel in corrosion resistance and weight. Installing automatic driveway gates is possible DIY if you’re trying to save money. Hiring a contractor to install your driveway gate may be the best solution, if you can find the right contractor to do the job for an affordable price. Whether you’re planning to install an automatic farm gate, automatic ranch gate, or automatic estate gate JDR Metal Art will make it easy for you to get a quality automatic gate system no matter where you are located. We work with installation contractors nationwide who install and automate our custom driveway gates.